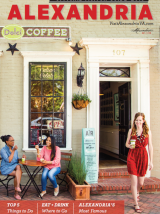 Alexandria’s summertime deal-grabbing tradition returns as over 50 boutiques throughout Old Town and Del Ray offer deeply-discounted summer merchandise (up to 80% off). Don’t miss your chance to find incredible bargains and unique treasures in Alexandria, the DC region’s Shop Small headquarters. Local retailers will display a wide range of goods, from fashion and jewelry to home decor, culinary, seasonal and gift items at discounted prices. Spot the deals by looking for bright yellow balloon markers outside of participating stores. In Old Town, the City of Alexandria is offering free parking at all City meters on Saturday (parking at meters is free on Sundays). Parking in Del Ray is always free!